A collection as extensive as that of Reinhard Ellinghaus is bound to attract huge interest from the whisky community. But the German enthusiast has largely shunned the limelight after spending 25 years building up a huge array of bottles. Angus MacRaild visited his Berlin home to gain a rare insight into one of the world’s great whisky collections. There are moments in the lives of all whisky enthusiasts that could be described as revelatory. For most of us, we would probably point to the great whiskies that altered the trajectory of our passion. I would also add into this mix, however, the experience of discovering a great collection for the first time. When I worked in whisky auctioneering, one of the great pleasures of the job was to travel and occasionally discover some incredible bottles or a beautiful collection I’d never seen before. Of all these occasions, the one that truly stands out was the time I first visited Reinhard Ellinghaus in Berlin. 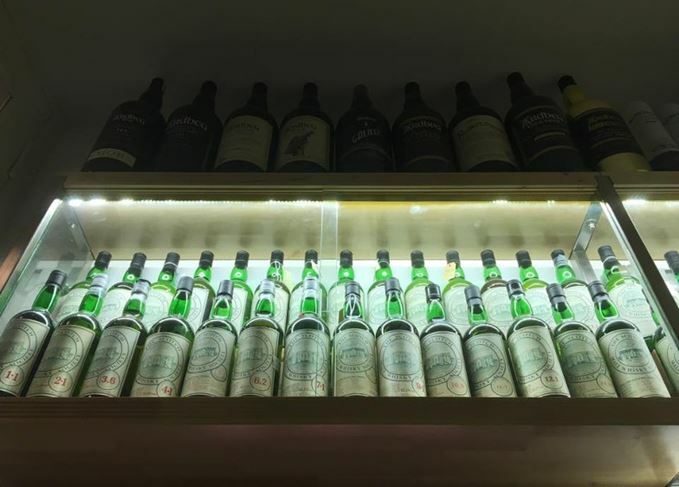 When we talk about the greatest whisky collections in the world, in terms of the sheer quantity of incredible bottles, the two most famous are those of Sukhinder Singh, founder of The Whisky Exchange, and Italian collector Giuseppe Begnoni. A more modest and lesser-known third contender, however, would be the 8,000-plus bottles accumulated over the past 25 years by Ellinghaus. Whereas the Singh and Begnoni collections are well-known and lavishly displayed, Ellinghaus’ is not a collection that is known about beyond the tighter circles of serious old bottle enthusiasts. Nothing really prepares you for going into his apartment cold and coming face-to-face with a Cinemascope wall of bottles. Ellinghaus is a modest and generally quite private whisky collector, uninterested in showing off his bottles or talking about the collection on social media. He is a regular at The Limburg Whisky Fair and some of the long-standing auctions in the UK. If you met him, you would assume he is an affable, relaxed and regular German whisky nerd. Spend some time with him, though, and you get a sense of his knowledge, generosity and unadorned love for whisky. In many ways, he epitomises the end point of whisky enthusiasm, which is that happy place where you no longer feel the need to lock horns with other geeks over who knows the most – you’re just as happy having a few good drams and a blether, content in the knowledge that you have nothing to prove. When I meet him at his apartment, it is the morning after his 59th birthday and he is in typically jovial spirits. He runs a software company with two colleagues and works a tough and busy schedule, although he still occasionally finds time for his other passion: music. A trained drummer, he has played with jazz, rock, blues and new wave bands. Today, he plays around 11 gigs a year with his current band, a 1970s disco covers outfit. Not a genre you might expect, to look at him. As we wander through the apartment it is clear that, although he has had no interest in publicising the collection, he loves to share the joy of it with like-minded people who recognise what a remarkable accumulation of bottles it is. Throughout his youth, Ellinghaus had long been a whisky drinker, but a ‘musician whisky drinker’, which meant Jack Daniel’s and Coke, or Johnnie Walker Black and ice. It wasn’t until a colleague of his ex-wife, who was a Springbank enthusiast, poured him some cask samples of Springbank in about 1990 that he really became aware of, and intrigued by, single malts. After this Ellinghaus found himself looking at different single malts in whisky shops and eventually purchased a 1970s Signatory Ardbeg, which at the time cost just DEM40 a bottle. Out of hand is certainly one way to put it. There are entire rooms in the apartment dedicated to whisky; tables strewn with astoundingly rare bottles, boxes full of bottles piled high up the wall. You can open cabinets and find bottles Ellinghaus forgets he has that any of us would give an appendage to possess. You could spend hours just digging through shelves and boxes, and still bypass hundreds of bottles. However, many of the most special bottles, or simply Ellinghaus’s favourites, are loosely displayed on shelving or in cabinets. In 1994, he met both Singh and Begnoni at a Christie’s whisky auction in Glasgow – and this proved a further strong connection in the fledgling international community of collectors, which was starting to take shape in the late 1990s. In 1996, he was the first person to visit Begnoni after he acquired the famous Eduardo Giaccone collection, from which Ellinghaus purchased a number of remarkable bottles that remain in his collection today. One of the side effects of being seriously into older bottlings for such a long time is that it spoils a lot of other whiskies for you as a drinker. When asked for his favourite drinking whiskies, a long list, including hallowed names such as Port Ellen James MacArthur (‘I finished already three bottles of this one’), Largiemeanoch and Ardbeg Kingsbury, is reeled off. He’s less enthused about modern whiskies, however, and will often buy old 1970s malts to have for drinking stock. In a collection numbering over 8,000 bottles, is there anything still missing? 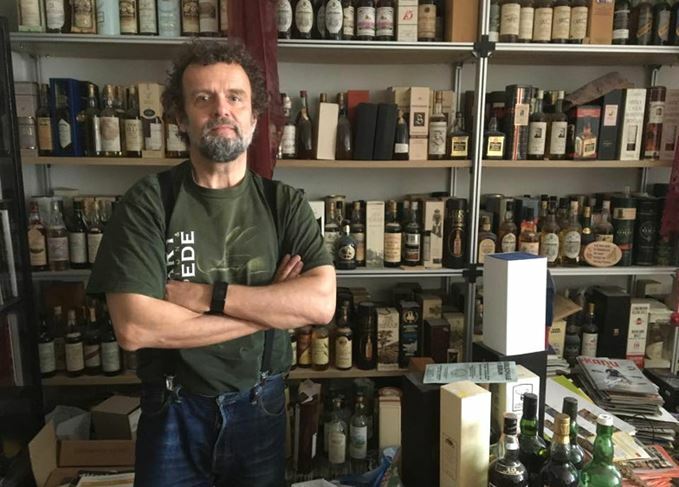 For a serious collector no collection is ever really complete and Ellinghaus would love to find bottles as disparate as an SMWS (Scotch Malt Whisky Society) Edradour – he collects SMWS bottles and Edradour is a notoriously scarce example – or some rare official Bowmores still missing from his shelves. Does it ever become too much, though? And what of the way prices have gone for a large proportion of his bottles? Does this change the way he views the collection? It’s a very typical sentiment of a man who is, perhaps, the epitome of the quiet, but determined, whisky enthusiast. One who is less interested in the social scene or the ‘debates’ that surround whisky, but simply loves the drink for what it is.